Finally feeling like I am back in the swing of things for the blog! I was writing consistently this week thanks to the polar vortex. Also, for what it’s worth, I’ve re-committed to my resolution to to the gym and tracking my calories so I’ll be better able to handle my upcoming vacation. This week on the blog I wrote about how I rethink my finances after my credit card ban, a review of Fear by Bob Woodward, how I got a $10 gift card from Honey, and my plans to run for president!!! Here’s what caught my eye this week! 2. This is the cutest Instagram account for a snail I’ve ever seen! 4. 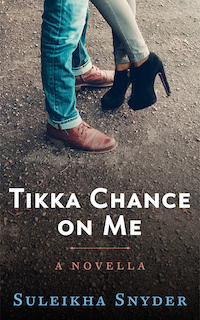 I read the novella Tikka Chance on Me by Suleikha Snyder this week. It is a super cute romance! I loved the humor and sexiness!